Practitioners’ Certificate in Mediation, the Institute of Arbitrators and Mediators Australia, NSW. Graduate Diploma in Legal Practice, College of Law, NSW. Bachelor of Arts (Modern Asian Studies in Japanese), Griffith University, QLD. Joshua is a barrister and mediator at Edmund Barton Chambers. Joshua seeks to resolve disputes through appropriate dispute resolution processes – as an advocate, as a facilitator, as a mediator. 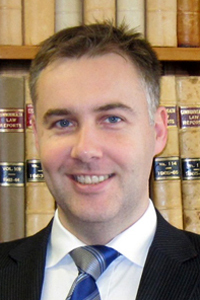 Joshua is a nationally accredited and experienced mediator with the NSW Bar Association and a current member of the NSW Facilitative Dispute Resolution Special Interest Group Committee of the Resolution Institute. He is a past member of the NSW Chapter Committee and mediation subcommittee of both the Institute of Arbitrators and Mediators Australia (IAMA) and LEADR-IAMA. Joshua is a director of the independent corporate advisory firm, the bioadvisory group, with a particular emphasis on commercial dispute resolution. Joshua has significant legal and commercial experience. He was an Associate to selected senior District Court Judges over a period of seven years both in Sydney and throughout New South Wales, in both the civil and criminal jurisdictions, including in the children’s care and protection jurisdiction. Joshua also previously consulted in Trade and Customs Services as well as International Law and Policy with the major international professional services firm, KPMG. Joshua has lived and worked in both Japan and Spain and is fluent in French.